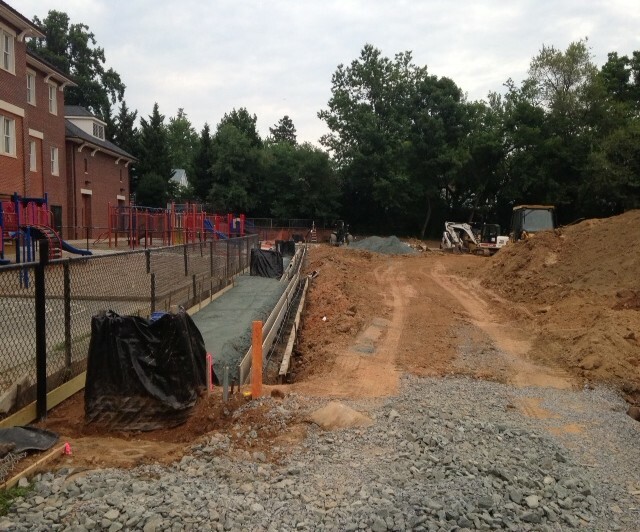 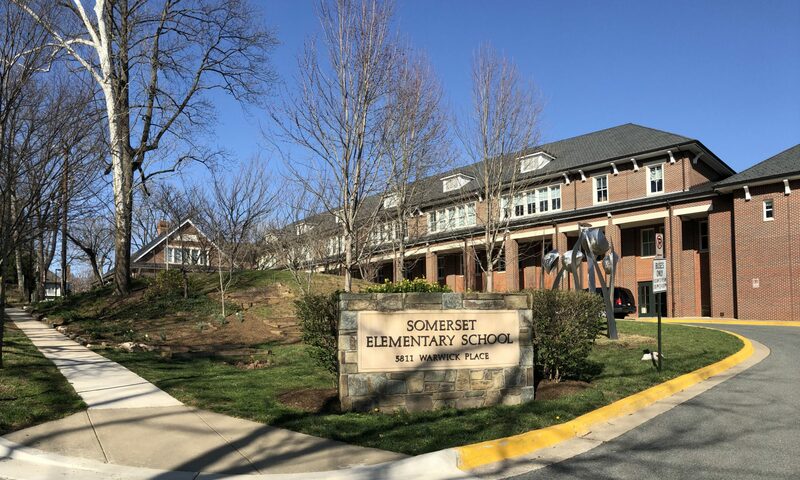 The construction of the new turf field at Somerset Elementary is currently underway. 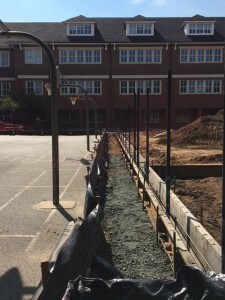 The design of the new field requires a concrete curb to be installed around the perimeter. Progress was made on all four sides of the perimeter during this past week! 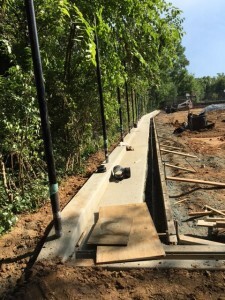 On the west side of the field (the school side), a new sidewalk was installed to improve accessibility, as well as a trench drain to improve stormwater management. On the north side of the field, the concrete curb also includes a trench drain to improve drainage. 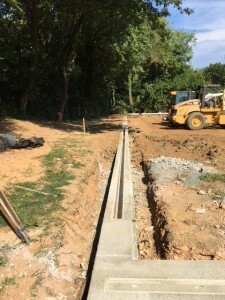 On the east side which runs along Deal Place, a wider curb with a six inch lip was installed, as well as new fence posts for the 12 foot fence that will be installed along this side. On the south side of the field, the curb will be installed to form the forth side of the perimeter. 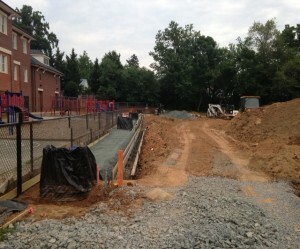 There will also be a new 6 foot fence on this side of the new field.